« Older: Presenting Miss Nicaragua for Costa Maya 2012! Four month old Marianie Tun is in desperate need of the kind generosity of the community of San Pedro. 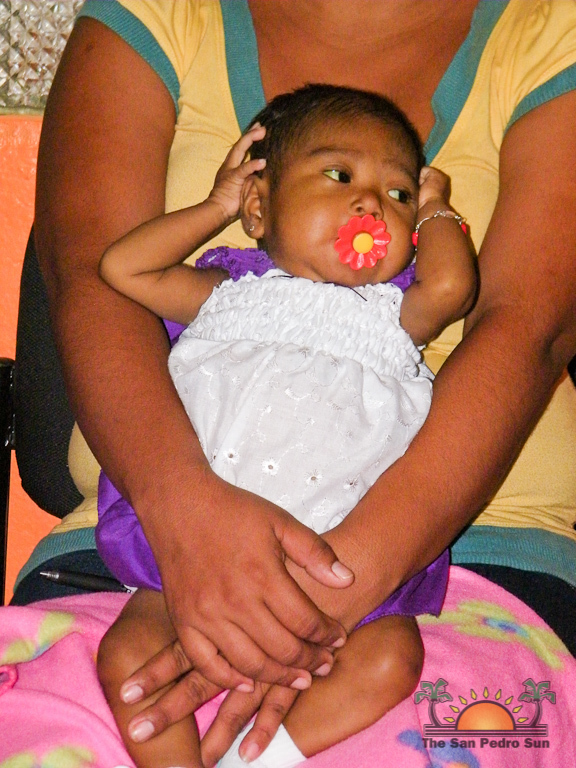 Little Marianie was recently diagnosed with biliary atresia, a rare, congenital or acquired disease of the liver. As a birth defect in newborn infants, it has an occurrence of 1/10,000 to 1/15,000 cases in live births in the United States. In the congenital form, the common bile duct between the liver and the small intestine is blocked or absent. The acquired type most often occurs in the setting of autoimmune disease. Infants and children with biliary atresia have progressive cholestasis (stoppage or slowing of the flow of bile) with all the usual affiliated features: jaundice, pruritus (itchiness), malabsorption with growth retardation, fat-soluble vitamin deficiencies, and eventually cirrhosis with portal hypertension. The cause of the condition is unknown and the only effective treatments are certain surgeries such as a liver transplant which is the procedure little Marianie needs. According to mother, Rosita Barredo, the operation can only be done abroad. 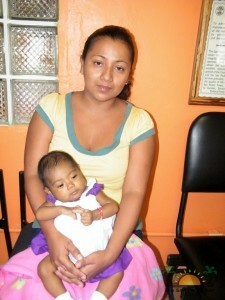 In order to get the operation alone, the family will need to come up with BZ$30,000. With travelling and other expenses, the total expenditure will amount to more than BZ$50,000. The family is from Chunox, Corozal, and they are joining with friends and other family members that live on the island have joined the cause in seeking assistance. Readers will recall the plight of Baby Daniel, and the consequent success story of his recovery. The Tun family is hoping for a similar miracle for Baby Marianie. Counselor Kenrick Brackett of the San Pedro Town Council has joined forces with the parents to reach out to the community for financial contribution. The team will be on the Reef Radio on Friday July 13th for an all day telethon starting at 7am. The aim is to raise over BZ$50,000 to assist the family in their expenses to take little Marianie for her operation. This will be a continuous struggle for the family as even after the operation, Marianie and her parents will have to constantly travel for follow ups and treatment. Individuals or businesses wishing to donate may do so on Friday or to find out how you can personally assist this very baby, they may be contacted via cell numbers: 662-6981, 633-2534 and 634-9932.